Rider profile and bike check with Australia’s Harriet Burbidge-Smith (AKA Haz Nation). 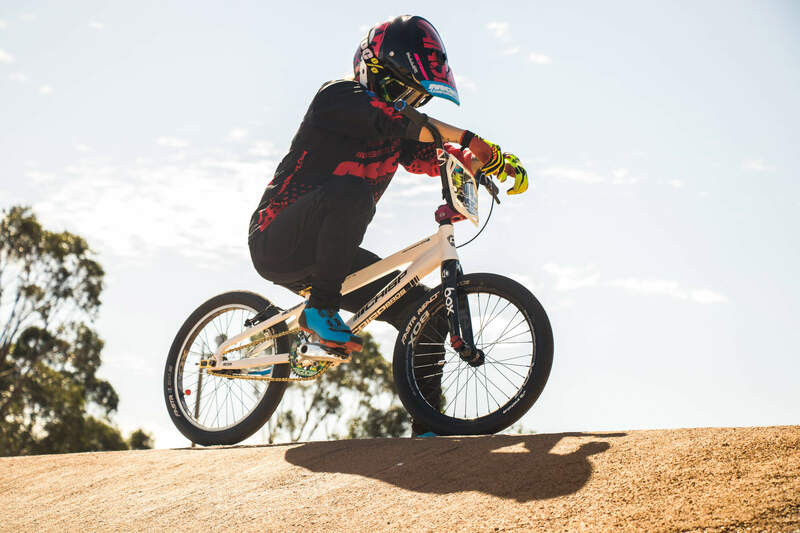 The 2 time World Champion, who arguably put’s out more digital BMX content than any other BMX rider on the planet, is about to take her new Crisp Bros. 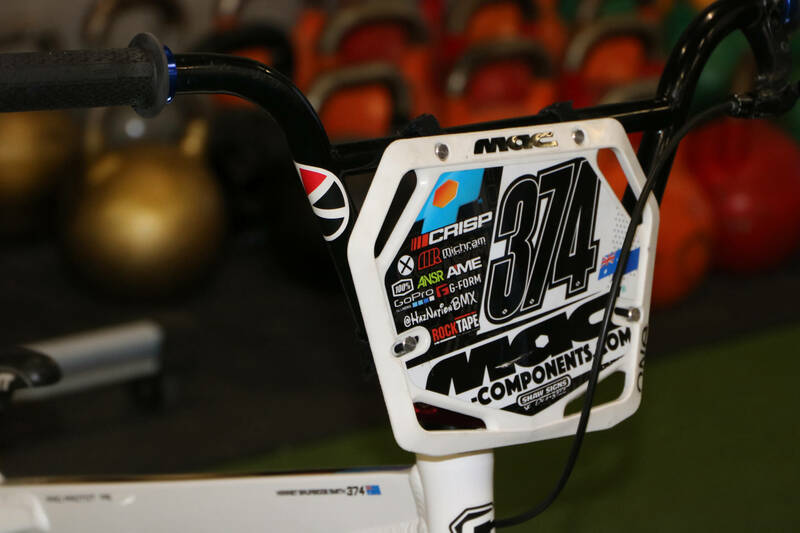 Racing build to Paris for Round 1 of the 2018 UCI SX World Cup. Favourite place to ride / train? Love My home track Melba! And Penrith Track near Sydney. Favourite track you have raced? So many! I love Rock Hill, Manchester, and the 2016 World Championships track. Supercross or ‘traditional’ track? Supercross for racing, Traditional tracks for sessions. Training or racing or vlogging? Depends on the day! I try to stay in the moment and make the most of it. So, if its race day I’m pumped to race, if I’m training I make the most of it, and if I’m on a rest day or injured I use the time to film/vlog more! Favourite riders race against? I love riding with Caroline, I always train better! Favourite event you’ve raced so far? South Africa World Championships in 2010. Best international result so far? My two World Titles in age class were great. Elite wise I have yet to put down a result I’m happy with … Yet! How did the 2017 season go for you? 2016 and 2017 were probably the hardest two years of my BMX career. I had two 6-month injuries that completely changed the plans I had moving into Elite. I had to not only recover and get my knee’s right but figure out what the new plan was. I managed to make it back on the bike just in time for the 2017 Australian Titles and make the main for Elite Women, but I was nowhere near where I wanted to be, and honestly, I’ve only just started to feel like I’m there now! It took a lot out of me in the beginning, but now I have such a strong metal game, one that I never had before. I just need my body to catch up with it. I so incredibly excited to keep training and better myself every day! and so grateful for every day I have on the bike. What are you plans / goals / hopes for the 2018 season? 2018 for me is a little bit about redemption … I’ve spent the past two years wanting to prove myself, and now I finally feel like I am capable of it. I have a goal of continuing to love the process, and I trust that if I do that, that my career is only just beginning. Event wise I’m hoping to head to more than a few World Cup rounds, World Championships for both BMX and 4cross, and a few fun events including the Red Bull Pumptrack World Champs and Crankworkxs in whistler (Plans are big! Wallet not so much haha, I’ll need to work more). Is Paris going to be your first UCI World Cup? Excited? Paris will be my fourth! But first in over two years – But I am more excited than I was back then. Last week I had my calendar mixed up and thought I was leaving earlier then I was, when I realized I wasn’t I was so disappointed hahaha. Usually I’m grateful for the extra time to train (which I still am) But mostly I was like “damn!”. What’s the long-term BMX goal? 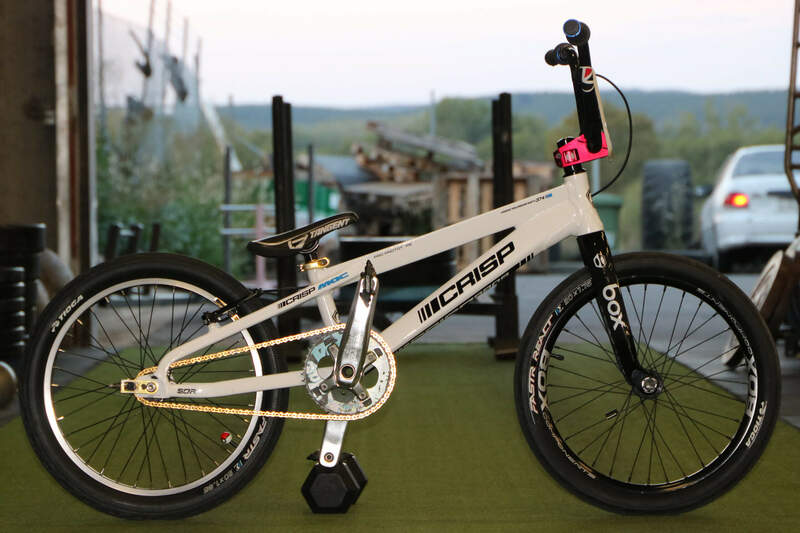 I want to build the sport along with my own brand, bring BMX racing into mainstream YouTube content, host my own events, build a track and host a yearly race with a massive payout – hype it up and have crazy competitions, music, giveaways! A couple Elite world titles are definitely goals, as well as a spot in the Australian team for Tokyo. What one thing would you do to improve the sport? I’m going to say that anything I can do over the next 20 years for the sport! I’m not going to suggest anything I don’t plan on changing myself! I’d love to do a lot to hopefully make the sport better. What do you do when you’re not riding BMX? BMX, Vlogging, Gym! I love training in the gym, outside of BMX (my coach is going to kill me!) the only other sport I would try would be Crossfit. I love working till I’m almost passed out haha. You probably produce more digital BMX content than anyone else … what motivates you to keep going with the vlogs? I don’t need motivation honestly! I love filming, if I’m not riding or training I’m filming- ask anyone who knows me, it’s pretty much standard that I have a camera in my hands. Less motivation and more inspiration! I want to make new and exciting content and sometimes I end up chucking out hours’ worth of footage I’m not happy with. I want to make BMX content for YouTube that isn’t out there, and that might get someone new into the sport.